Recruitment is a cost to every business right? Virgin Media plan to make it a revenue stream by radically changing their candidate experience. This is after Virgin estimated $6 million of lost revenue each year as upsetting job seekers who signed up with competitors! Facebook learnt the cost of 'not hiring the right person', in hindsight, and eked out $19 billion to get back Brian Acton onto their team for the messaging app. The world is changing. So shouldn't our perspectives too? Only when we dare to explore beyond the accepted rules do we see a new light, a new beginning to a brighter #futureofwork! 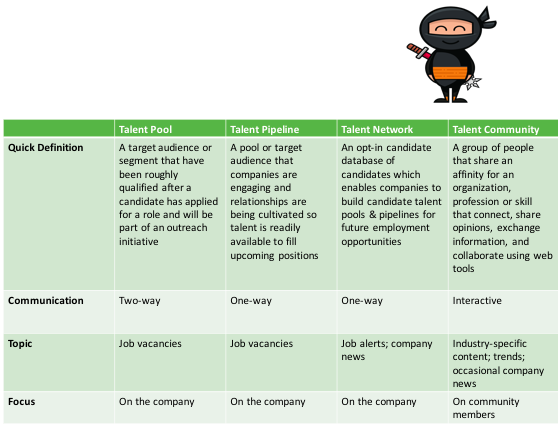 Talent Acquisition. The game has changed. Have you? Well, for one, finding the right candidates is more about them to find YOU. And a personal brand will help in building the credibility necessary to attract, engage, nurture and influence the future associates. Investing in relationships. Build our personal brand. It is about pioneering your candidate experience. Crafting the employee experience. Proactively attracting and engaging digital talent. Engaged employees add financial value to the bottom line. Developing a corporate narrative around investing in people, empowering teams and by sharing successes, companies build brand awareness amongst new and existing employees, partners and customers. Building talent communities. Establishing mutually beneficial relationships in a way where the power is in community members’ hands as they dictate the topics for discussion. Thereby forming positive opinions about the company, as well as puts the company top of mind when members decide to make a career move. And all this being in a subtle manner- in that career opportunities are not at the forefront of the communication. Want to know more & interact with some of the practitioners who are at the forefront? Come over to the SHRM conference later this week in Delhi. And listen to the experiences of Pamela Harding, Dave Sumner Smith and Jonas Prasanna -as they share some of the ideas that we as professionals need to invest in our personal brands! Of course please do follow #SHRM16 and@SHRMIndia on twitter!